Kids don’t have to be picky eaters! There are plenty of ways to fix unhealthy habits! There are methods you can use today to help your kids tomorrow. Find out how to get your kid eating better! I talked to Tammy Bishop, an occupational therapist and feeding specialist. She will be answering some great questions that we usually get about what are the best ways to feed kids, the best ways to introduce foods to babies and much, much more. In this part (part 1 on 3) we will focus on introducing solids to babies, why you shouldn’t be an authoritative parent, eating at preschool (some methods to help kids eat healthier at school and at home) and cooking with kids. Below you’ll find the transcript so you can read along. Renee: Hi. 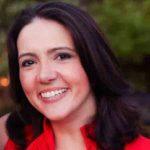 I’m Renee Seltzer, founder of Feeding My Kid. In today’s episode I’d like to introduce you to Tammy Bishop who’s an occupational therapist and feeding specialist. She’s going to be able to answer your questions that we often get through Facebook and on the website. I’m really excited to introduce her. She’s going to go through and just answer a variety of questions, provide insights that we don’t often have. Just being an occupational therapist she’s going to be able to see and help us understand when is it that you need to see an occupational therapist. I’m so excited to be covering all these topics with her. Let’s get started. 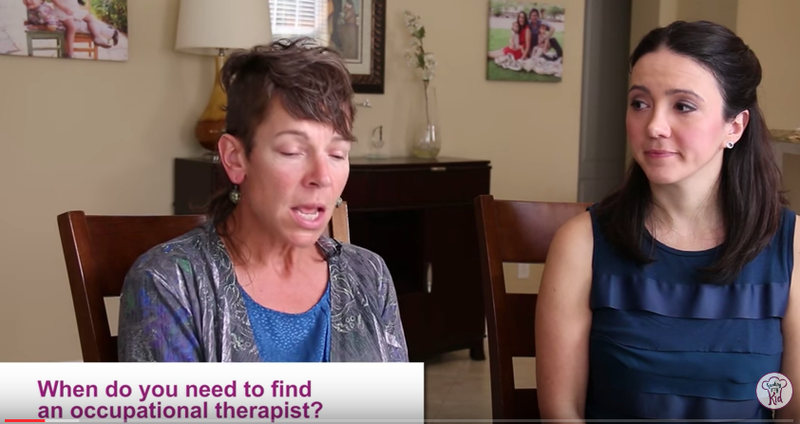 Tammy: When do you need to find an occupational therapist? Usually I tell parents when a child’s having an issue that is interfering with their everyday life. That’s the time that you need to seek out help. I often tell parents who have mild concerns that if their child is still able to function fairly well and within the average range and have good days and be able to do what they want to do that really the small issues aren’t a big deal. You really don’t need therapy for that. There are parents, though, who want to be on top of even small issues and do seek out occupational therapy. That’s not a problem because we can help children who have minor difficulties. When a child has a more significant difficulty and it does interfere with their day, like I mentioned, we strongly recommend occupational therapy or possibly a different therapy. It’s great to contact an occupational therapist and speak with them and find out what the next best step is. Renee: Is there an amount of foods that go into normal? If a child only eats for, I definitely always hear parents say, “My kid only eats bread and chicken nuggets.” What would you say? Is that a normal behavior? Tammy: No, that’s not normal. Children should eat a variety of foods regardless of their age. There are periods in the child’s development where they are a little more picky, but they usually do have a fairly decent repertoire of foods, vegetables, fruits, starches, and proteins. Renee: What would you say if that’s the two foods they eat? Tammy: I would recommend feeding therapy. Renee: Some of the things that we talked about were sometimes it’s occupational therapy, but sometimes it’s a medical condition. If a child is gagging or throwing up what do you normally recommend first? That didn’t sit well with me because I thought a child at 12 months of age should not be gagging and vomiting several times a day. That’s pretty damaging on the esophagus. I recommended a second opinion and I recommended a GI, a Gastroenterologist, excuse me, appointment for the family to see what that doctor thought. Sure enough, they discovered that the sphincter between the stomach and the esophagus was too small. The child’s tummy wasn’t able to clear the food in a timely manner so that as the child continued to eat the food could flow through. That’s what was causing the gagging and vomiting. With proper medication and some feeding therapy the child is doing very well now. Exactly. That’s one of the things where you have to clear your child for medical issues. Sometimes it’s an allergy and the esophagus is actually closing up a little bit with that food so then that’s causing the child either to throw up or just not enjoy eating. Renee: That’s actually a big risk long-term by not addressing it. A child who throws up or gags often could start to associate food as something to avoid because I don’t want that burning feeling, it hurts. What do they do? They start to go on a food boycott and then that causes even more issues later on. Renee: What do you do with kids that don’t eat any vegetables? It’s a big one that I always get. It’s a hard one. It’s multi prong I think. Tammy: I would say the first thing to do is expose them to vegetables and fruits as much as possible and engage them in, or having them interact with the foods not just putting on their plate and allowing them to ignore it, but encouraging them to look at it, to talk about it. Having the children come into the kitchen and help you prepare the vegetables and the fruits. Basically increasing their exposure to vegetables and fruits. Renee: I remember you even … Tammy was our occupational therapist, or one of the ones that we had with our son. I remember you were even make it fun. Let the food touch their arm and play with it and go up their arm and eventually make it towards their mouth but with no pressure to eat. Renee: Do you want to walk through why you would recommend that? Tammy: Sure. The program that I use with the children when I do feeding therapy, and it is Dr. Day Toomey’s sequential oral sensory approach to feeding. This is an excellent program that has many steps working with the child from the point of being in the room with the food all the way to the point of chewing and swallowing the food. There are many steps in between. What I do with children is basically followed these steps to eating. We start out being able to tolerate the food near us. We work toward tolerating the food on us. Then we work toward tolerating the food closer to out face. This progression helps the children become more trusting of the food, more trusting of the adult because there’s never ever a demand put on the child to do anything that they’re not ready to do yet. It’s a really gentle way of motivating children to be more comfortable with the food. Renee: When Tammy says it’s completely non-pressuring. If the child all of a sudden freaks out because you put the food on the plate, take the food off the plate and step back one step. At each one you’re going with the child’s comfort level through the steps to see what are you comfortable with. If you start to see them tense up pull back. What you want to do in general is just take the pressure off eating, right? Eating should be a social and a fun time at the table. So many times children are seated by themselves or in front of a computer and just told to eat, eat, take another bite, eat. That’s not fun. Eating should be a social time with family, with friends. Even if you are sitting by yourself you should enjoy the food that you’re eating. That’s why it’s really important. Renee: What do you do when you run into a parent that’s very authoritative and really demands the child to eat? How do you help through that situation? You’re most interested in the child’s benefit. Tammy: I’m smiling a little bit because I came from a family where we were forced to eat. Starting out as an occupational therapist in my mid 20s anytime we had feeding therapy, well feeding therapy, anytime we were working with children who had feeding issues we always used what we grew up with, which is if you want this toy you need to take a bite or you’re not getting up until you take a bite. I hate to mention this but I’ve actually forced fed children. It’s not a pleasant experience. Maybe some of you parents have also been through that experience. It’s not pleasant. It’s not pleasant for the child. It’s not pleasant for you. My point is is that we all had different ways we’ve been brought up to deal with getting children to eat. This program, when you have parents who come from that background of being very forceful and trying to get the children to eat, my way of helping them overcome that is to show them that when you are not pressuring your child your child is much happier, you’re much happier because your child is happier. Food in general, the experience around the food is more pleasurable. Once the parent sees how, and I used to take video of my children’s feeding sessions so the parents can see a totally different child when they’re not pressured to interact with the food. They start to learn strategies that I use and use those at home. There’s actually tons of studies to support that too. They’ve done where if they talk about the food, they have two different kinds of soups. They’re both very veggie centric soups but very different flavors. When they pressure the kids to eat one soup they ended up talking more favorably about the other soup. They flipped it. You thought maybe they like cauliflower soup better. They flip it and they noticed the exact same thing. Anytime you encourage the child like no this is good. You should eat it. You should try it. They actually found every single time the kids pushed back on the food. Any form of pressure in any way, even putting pressure of rewards like you’ll get dessert is a form of pressure. Kids actually end up eating less or you’re training your next set of lawyers as they negotiate. I will eat two green beans for two cupcakes. You really want to make sure that you don’t get into that. It’s fascinating when they study it. Any form of pressure backfires on the parents. Tammy: That’s very true. There is data to back that up. Renee: My kid eats better at preschool or daycare then they eat at home. Do you hear that one? Yes. That’s probably because there are other children around with different kinds of food. I often hear from teachers that a child with a feeding difficulty may eat something off his neighbor’s plate. That tells me that the child needs to be exposed to more foods, that possibly his diet is limited. Renee: How do parents limit their diet? I think it’s unintentional but it happens everyday to most of the parents? Tammy: I think routine is just easier for people. Parents get in a routine of what the child will eat, what the child won’t eat. They don’t try to broaden, I shouldn’t say they don’t try to, they don’t think to try to broaden the child’s diet. It works. It’s easy. It’s fast. Let’s just get this done. Renee: I feel like in a lot of ways our kids condition us. They have conditioned us to say that I’m only going to eat chicken nuggets and mac and cheese so we start to only serve chicken nuggets and mac and cheese. What they’ve done is they have taught us. Now they’re parenting us. I see it all the time. I’m like, “Come on you guys.” Why am I being manipulated by 2 year olds? What other types of advice can you give parents out there? Tammy: We talked about no pressure at the table, exposing to a lot of variety, fruits, vegetables, proteins. If you need ideas go online. You can get lots of information there. I would say just try to have fun with it. Try to find time, if not during the week, during the weekend, to make something from scratch and have the children involved. Renee: You mean cooking with the kids? Tammy: Yes, cooking with the children. Renee: Why does that help so much? I’m a big advocate. Tammy: There’s probably data to show that when children are involved in not just the cooking of food but even the growing of the food they’re more motivated to try it. Renee: I think it’s more interactive and the guard is down. If you’re cooking no one’s pressuring you to eat the food. You’re putting it in the salad. I notice that my kids are the most adventurous when I’m cooking. They’re like, “What are you doing? Can I have some of that?” They’ll eat really exotic vegetables because I’m just cutting them. If I put them on their plate they would never touch it. Tammy: Nothing wrong with that. Renee: If they want to eat off your plate let them eat off your plate. Renee: Wonderful. Let’s see, what kind of other advice? We talked about gardening and cooking with kids. Would you say it’s good to even get kids out of the dinner table maybe do a picnic with them? Change the scenery of food? Tammy: Yup. In fact I was just at a home a couple weeks ago working with a child who has feeding difficulties. He’s making great progress. I was cleaning up after our feeding therapy and mom told the child that they were going to have meatballs for dinner. The little guy that I work with has two little brothers. Mom pulls out the package, shows them and they want to cook them right then. Right then the children want to cook the meatballs. Mom, on the floor, has her pan and all the three boys are sitting around her and they’re plopping in the meatballs into the pan. It’s so super cute. It doesn’t have to be at the counter. It doesn’t have to be super clean. Enjoy it and take the moment. Mom could’ve said, “Well, we’re not going to cook these right now. We’ll cook them later.” Chances are that when it was time to cook them the boys would be busy playing and they wouldn’t want to do it. I loved that she took that moment and went with it. The boys had a blast. They were touching the meatballs. Tammy: It was super cool. Renee: What do you do with siblings that are picky eaters and you don’t want to pass that along to the younger ones? Tammy: That’s a good question. What I would recommend is having the children work together cooking. That’s a good question. I can use the example of the little guy who was cooking meatballs with his brothers. Both of his brothers are fine with eating but he is not. What I’ve noticed is that they, because they’re so interested in food, he’s more apt to follow their footsteps then they are to follow his footsteps and become picky eaters. I haven’t really seen any trouble or any difficulty with the pickiness transpiring to a sibling. I’ve only seen it the other way. The picky sibling wants to try what everyone else is eating. Tammy: Even though they can’t, their body may not be able to handle the food yet, but they really truly do want to eat what others are eating. Renee: Fabulous. Tammy I’d like to really thank you for today. This was so informative. It was amazing. Tammy: You’re welcome. Thank you. Renee: We’re very lucky to have her. If you guys have any questions feel free to ask the questions in the comments below. We’ll shoot them back to Tammy and see if she has any additional advice for you. She has amazing articles on feedingmykid.com. Make sure you check that out. We have tons of articles and ideas on Pinterest. We share them on Twitter and Facebook. Be sure to follow all of that. We look forward to our next series. Tammy: I look forward to hearing from you. Renee: Have a good one. If you’re in the Orlando area and you need an occupational therapist Tammy is your gal. Tammy: Thank you. Thanks Renee. A conversation with an occupational therapist. Learn everything you need to know about occupational therapy for children.